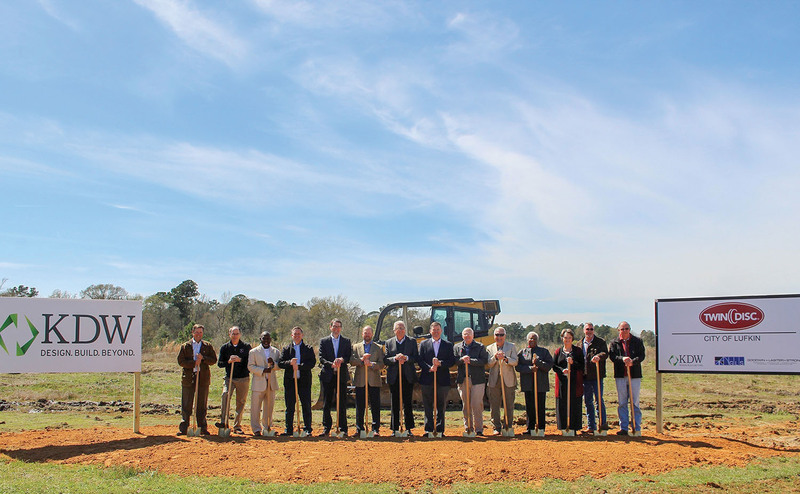 Twin Disc Inc. a global leader in power transmission technology for marine and land-based applications, broke ground Wednesday 12 March on their new operations facility in Lufkin, Texas, which is set to open in early January 2020. The new 50,000-square-foot manufacturing facility will focus on producing power take-offs and clutches for heavy duty industrial equipment. The main purpose of the facility is to assemble the company’s complete industrial product line and to be a distribution center for all new products coming from European operations to the United States. Lufkin is located approximately 120 miles northeast of Houston and 180 miles southeast of Dallas.